Discussion in 'SSD and HDD storage' started by pokerapar88, Jan 5, 2019. I just got a new SSD for the OS and Apps, replacing a Samsung EVO 850 of 250gb. 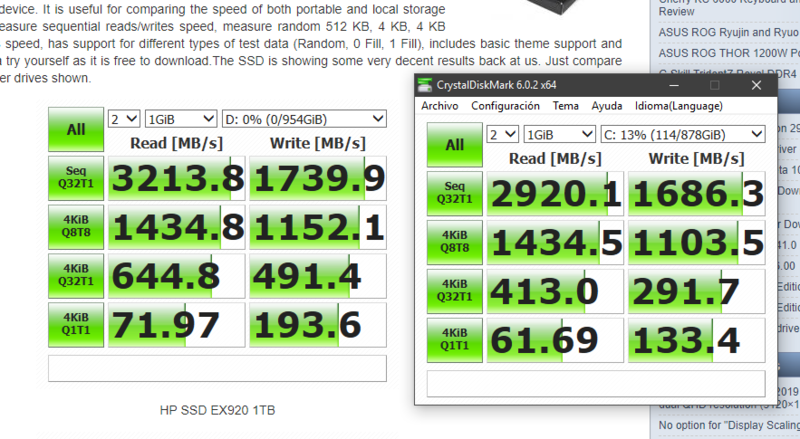 My question is the following: this drive was tested here and it's rated for 3200mb/s read and 1800mb/s write speeds. At first, I was getting 1500/1500 R/W speeds. I found out I was doing PCIex x2 instead of x4 speed on the BIOS. Tweaked everything over there and got WAY better speeds. Still, they are not exactly as I expected. Is this normal? Anything else I can tweak in the OS to make it run as fast? 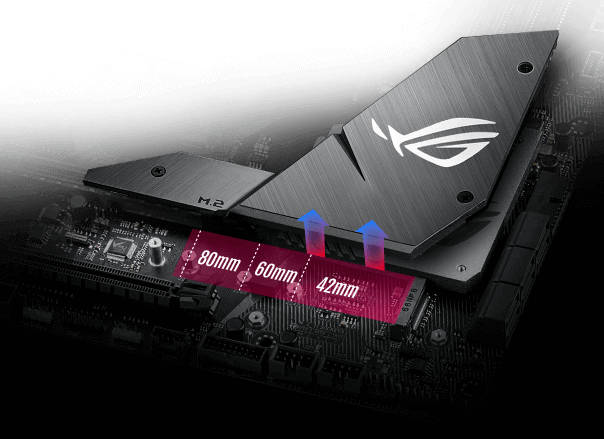 I switched the drive form m.2 port 1 to the second one so I could put it under the heat spreader that comes with the asus z370 gaming f motherboard. Speeds went up just a tad. Any insights will be appreciated! 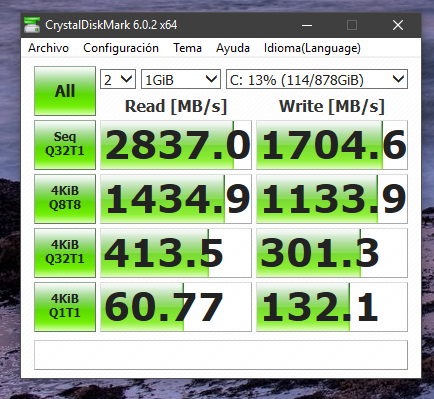 I have the 500gb version try playing with windows Write caching [restart after each change] it has serious effect on speeds, in my case on 4K speeds. Im sure it had some positive effect. P.S. Lets not forget that Intels/MS Spectre fix has HORRIBLE slowdown effect on PCIe subsystem, if you want to see higher results, download inSpectre from Guru3d and it allows you to disable both [at least for benchmarks] and see how much you lose. You were correct. Using inSpectre v8 made my speeds waaaay better, especially the 4kb ones. tops speeds didn't improve though, but it may be related to something else maybe. Damn spectre/meltdown! Have you tried the High power preset too? Intel SRT drivers? Or maybe its enough, now with inspectre disabled you have perfectly good scores 2800>3200 is NOT that big of a difference, you wont feel it. 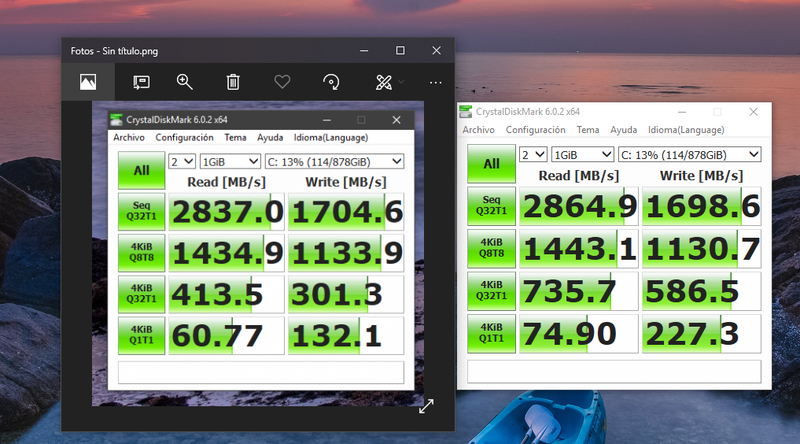 Hey, people dont feel the difference between good SATA SSD and NVMe, the load times are usually identical or like 1-2 seconds difference. 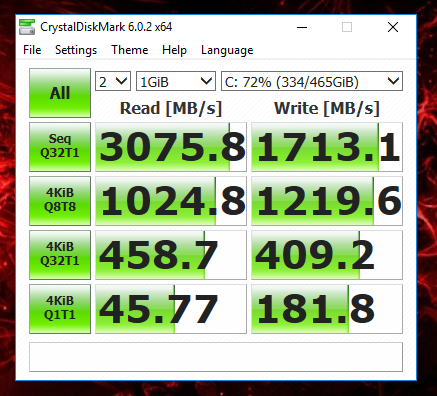 I also have Intel Optane 480gb and right now my Windows 10 is on old Samsung 850 EVO 250 GB SATA, when I was sure that im staying with my z370 board, i installed fresh windows 10 to my Optane, the boot times and usage felt identical to me. You are probably right. I don't feel any difference. I just wanted to know I wasn't hindering performance with any settings. FYI, I did have Intel RST, though I just updated those drivers, and I always use High Performance power plan. Couldn't live without it. Difference in performance without spectre and meltdown fixes is abysmal. Here is mine. 960 Evo, seems like mine is relatively close to your original. So it looks like performance isn't way too off. Thanks for sharing.